Dr. Richard Rosenfield has been practicing medicine in Oregon since 2000. After completing his residency training at Stanford University Hospital, he moved with his wife, Lynne, to Portland. Simply stated, they fell in love with the Pacific Northwest. Dr. Rosenfield is widely known for his minimally invasive approaches to surgical procedures. He has lectured nationally and internationally about the outpatient approach to hysterectomy, robotic surgery in gynecology, fertility and sterility, and the Essure method of permanent contraception. He has pioneered new techniques and surgical approaches in the field of Gynecology. Dr. Rosenfield is active in the Portland metropolitan community as a business owner and educator, lecturing frequently about Gynecology Topics. His passion for women’s healthcare is evident as part of the Medical Advisory Committee of Komen of Oregon. 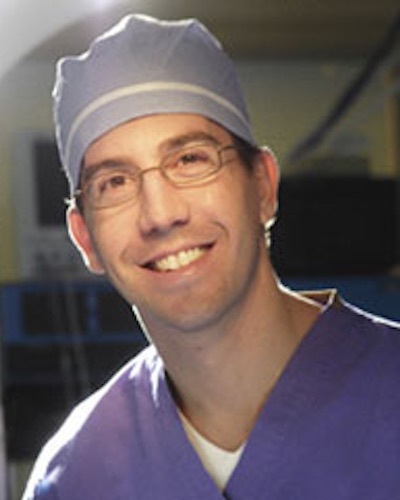 His dedication to improving the quality of patient care worldwide led Dr. Rosenfield to found SURGiVIEW.com, an online, video based community where surgeons share their surgical experiences, techniques and best practices. He also finds time to be an active member of the executive board of the Pearl District Business Association. Dr. Rosenfield loves the outdoors, enjoys hiking, skiing, SCUBA diving, and traveling, as well as spending time with his two children, Gabe and Peri. Dr Rosenfield also enjoys playing guitar in his free time. Our office can assist you in arranging a low interest payment plan through JP Morgan Chase or SurgeryLoans.com. We also accept cash, cashiers checks and credit cards (Visa, MasterCard , American Express). We do not accept debit cards.